Match Graphic Stripes to your ride. From flame graphics, checkered racing decals, tribal art designs, lightning bolt stripes, freehand splash effects, to your simple flemish pinstripe, we design it all. With 1,000's of templates from our digital auto library, we can draw your graphic to scale. Our striping is not some "off the shelf stock item". These stripes and graphics are designed to fit your car. Let us impress you with what we can do to your car, truck, or SUV. Now a new option has been added! It is quickly becoming a customer favorite. Not sure about leaving the size up to our designers? But worried how the graphic will look sized the way you want it? Want to add a drop shadow or outline? How about Metal Flake? 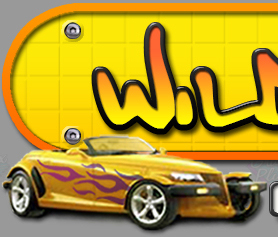 You now have access to over 1,000 raw design files in our WildStripes Vault that you can scale to fit your ride. Click Here to take advantage of these new options and design features at LOWER PRICES.